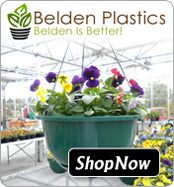 Belden Plastics has been providing innovative, USA-Made, injection molded plastic pots to growers since 1965. 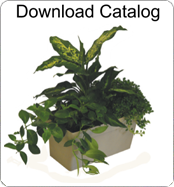 Known for developing a product that independent garden centers can count on to help build their business, Belden pots are superior in quality, provide innovative grower friendly features all with 100% recycled materials. Just a few of your plugs turn a Full Bloom Garden all in one! Belden Products: 2010 Pricing still in effect!